The Bachelor alum Tia Booth apparently has a new man in her life. The Bachelorette couple Becca Kufrin and Garrett Yrigoyen have reunited in Minnesota after spending about a week apart. Bachelor in Paradise featured love at first sight, heartbreak, betrayal, and a love triangle all in one Season 5 episode that aired Tuesday night on ABC. Tia Booth celebrated her 27th birthday with some of her closest The Bachelor girlfriends, including The Bachelorette star Becca Kufrin, in Boston this past weekend. 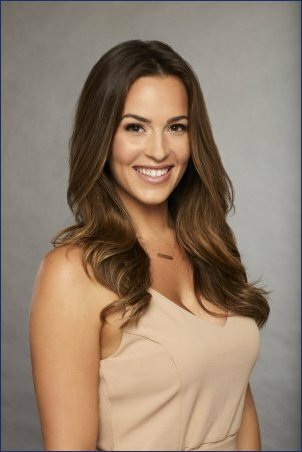 Tia Booth is getting a lot of heat for how she handled herself on Becca Kufrin's season of The Bachelorette in regards to her feelings for Colton Underwood, and Rachel Lindsay is apparently one of her critics. Bekah Martinez has revealed there's a good reason why she won't be appearing on Season 5 of Bachelor in Paradise this season -- because she has a boyfriend! The Bachelorette star Becca Kufrin eliminated Colton Underwood from the running for her heart during Monday night's Season 14 episode on ABC.